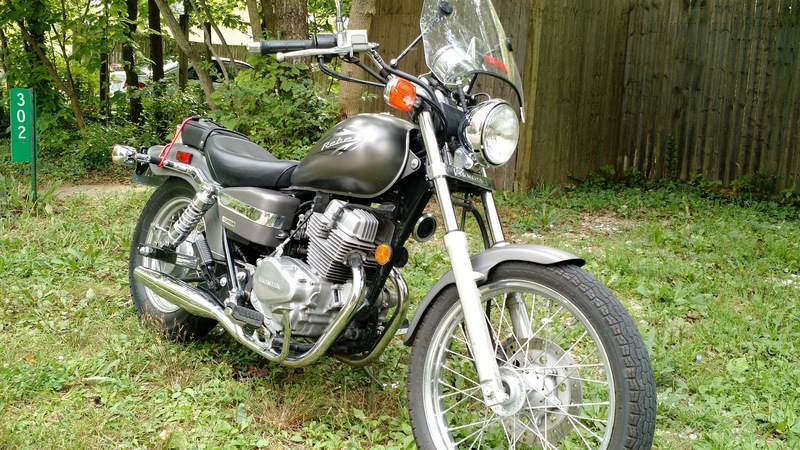 At the beginning of the summer, a nice motorcycle felt into my lap. It was rightly priced, a recent Honda model, and in very good shape. The air was soft, the days were long, and the romance of the road was inviting. However, I never connected with it. I owned a couple of bikes in the past and I enjoyed riding. With this one, no joy. Funny, I don’t like the engine sound. Also, in town I like to ride my bicycle; and to go out of town, I prefer to use my car. So, the motorcycle would be strictly for recreation, and I am not the kind of guy who does anything just for recreation. Enter my friend B., who deals with crystals, rocks, energy, and spirituality. 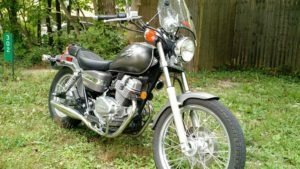 She told me the bike had a conflicted history with the previous owner, which is kind of true, and that I should cleanse it. She gave me three cleansing oils, told me to remove the saddle bags and all detachable accessories, and to wash it after adding some oil to the cleaning water. I was trained and worked as a scientist and these days I do computer work for a living. Mysterious to me is quantum physics and the theory of relativity; everything else, I am skeptical. I was skeptical about her advice too, but, understanding the value of symbolic actions, I followed through. And I felt better about the bike. Probably the cleansing ritual helped me to focus on making a rational decision about keeping it or not. And, in the end, the decision came down to not getting enough enjoyment out of riding to justify caring for the motorcycle. And I feel good about it. I am happy that I tried it, got some intangible benefits out of it, and I am parting with it as friends.